Great news for those who love shopping at the Gap outside of the United States. Until now, the online store has only been available to Americans. I have heard countless stories of people who order items, have them shipped to American friends and relatives because shipping didn't come to Canada. Especially for those who needed specialty Tall and Petite sizes not available in the stores. This month the site launches international shipping to nearly 50 countries including Canada, Brazil, Mexico, Egypt, Morocco, South Africa, Pakistan, Jamaica and Hong Kong! Very exciting! 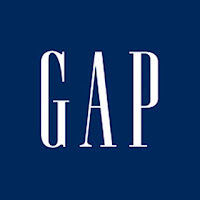 Gap Inc. includes Old Navy, Banana Republic, Piperlime and Athleta.